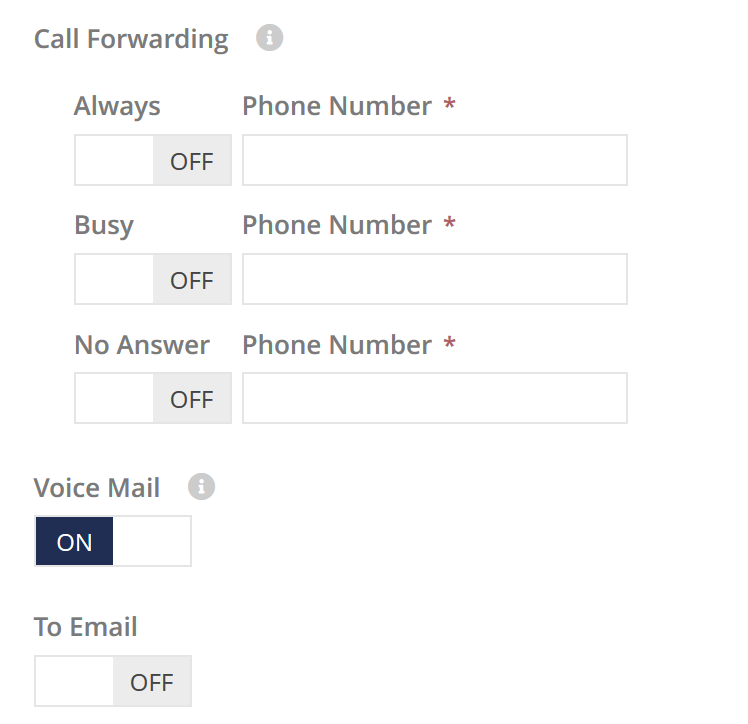 How to set up Call Forwarding for your telephone number via essensys Connect and your desk phone. Call forwarding is a useful feature used to automatically transfer calls received on your essensys phone number to another number of your choosing. This can be forwarded to any phone number, including internal extensions, mobile numbers or hunt groups and you can choose when exactly to forward your calls. Either Always, when you don't answer or if you are on the other line. It's important to note that any calls which are forwarded automatically count as a call made from your number, for billing purposes. 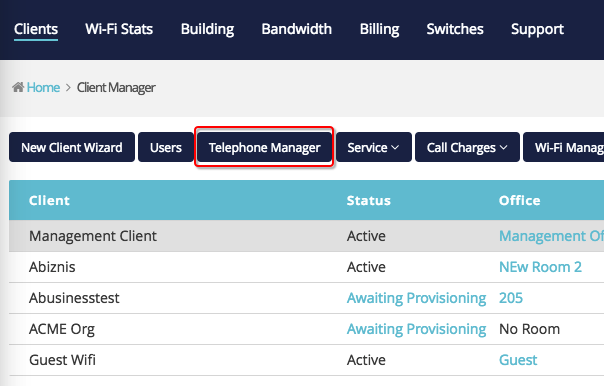 Using Telephone Manager, you can enable call forwarding on any phone numbers under your control, instantly. 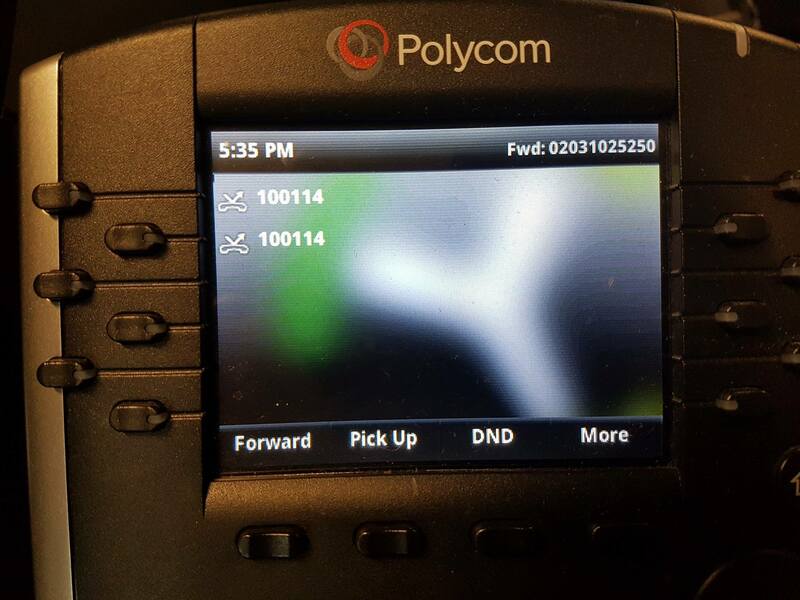 This is especially useful for when you want to enable call forwarding on multiple numbers, or set a call forward on a number that is not logged in to a phone. First, login in Connect and navigate to 'Clients'. Here, select the client and then click 'Telephone Manager', as shown. 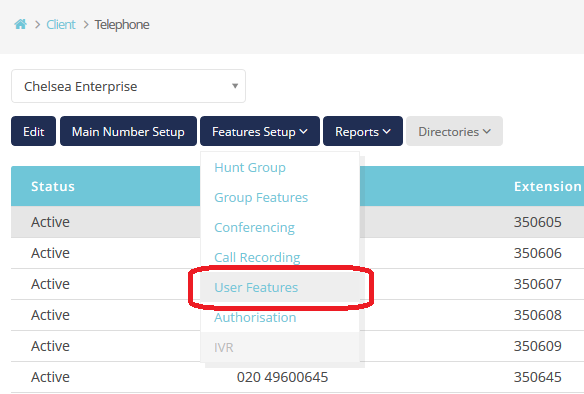 In Telephone Manager, click to select the number you want to forward, then click 'Features Setup' and then 'User Features', as shown. 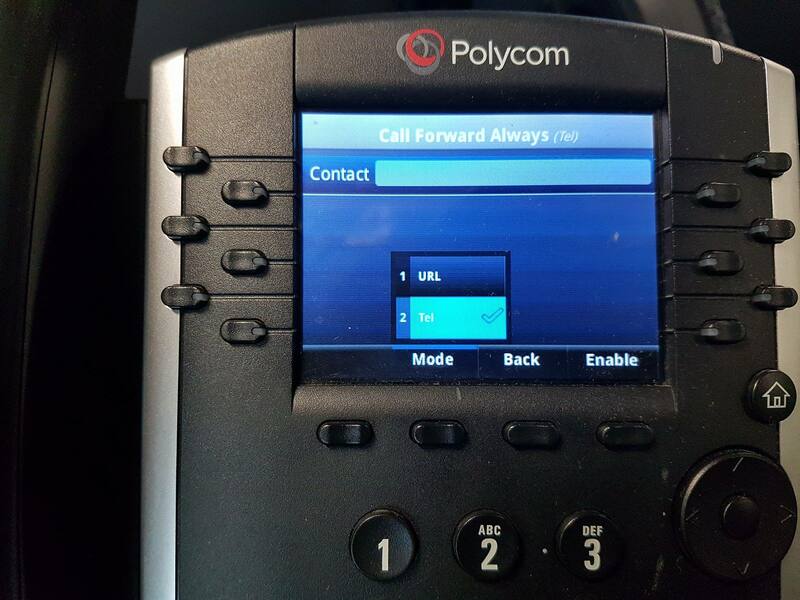 In the User Features window, scroll down until you find 'Call Forwarding'. Click on it to turn the switch on, and then enter the number you want to forward to. Once you've done this, scroll down to the bottom and click save. If you don't do this the forward does not apply, so don't forget! If you're nearby to a phone which is currently logged in, you can set a call forward using the handset. The screen will display a 'Forward' button at the bottom of the screen, press the button below it. You might need to press 'More' in order to see it. Here you can choose between a call forward always for all calls, for when you fail to answer a call, or for when you're busy on another call or on DND. Make sure that the 'mode' is set to Tel (telephone number) instead of URL. 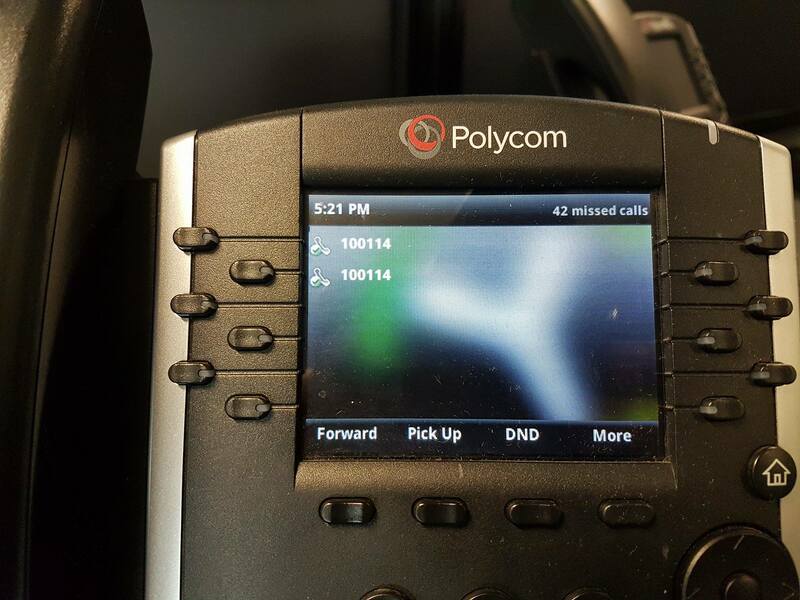 To do this, press the 'Mode' button and, if you have to, use the directional keys to select Tel. Enter the number you wish to forward to and then press the Enable button. If everything is done correctly, your phone's home screen should look like this, note the 'bounced' icon next to your extension, and the message in the top corner.